Manage a clients database made of persons, companies, agencies and contacts. Maybe you already have a database because you've been building it in the last years. 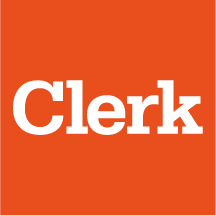 With Clerk you can easily import that information via the "Clients" tab. You only need to download the document and reorganize the data so it matches correctly all the text fields. 2. Build a database with Clerk. Your account has an intuitive registration process to keep individual record files of guests, companies, agencies and contacts (intermediaries). * When creating a new booking and defining Who pays? you can tap the name and last name to search it on the database. If this clients doesn't match any client in your database then you can create his file. * When registering a guest, company, agency or contact you will have a form with text fields to complete. * If you wish to add a contact intermediary on a booking, click on the link bellow "Who pays ?". When doing this you are relating a person or entity responsable for this sale. Example: You can add a Travel Agency that sended you this guest so you can monitor how many commissions you owe them. The guest is the one paying, but the Travel Agency sended the booking. This is how you will be gradually building your database; also by having a complete database, the information will be efficiently display and analyzed on your reports so you can take more and better decisions!